With more than 40 market professionals across OCBC Group, consisting of economists, strategists and analysts, covering more than 1000 securities, funds and currencies, we recommend you only top investment ideas that we truly believe in. Benefit from the unmatched expertise of our OCBC Wealth Panel with a collective investment experience of over 200 years who sets the investment themes where our investment ideas are generated from. 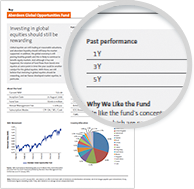 We actively monitor your investments and send you timely alerts when it matters. The end-to-end investment experience, at our branches or online, is simple and easy to understand. 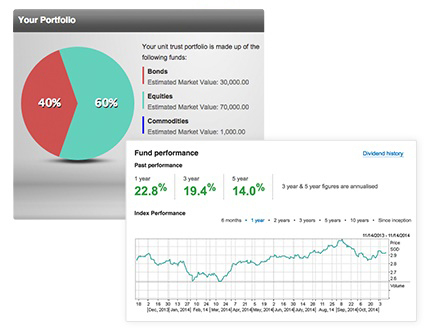 Diversify your portfolio to fit your investment needs. Make your money work harder to grow faster. Make monthly or lump-sum investments online or through our brokers. Use the funds in your CPF ordinary account for investments and build your retirement savings. The first S$20,000 cannot be invested. 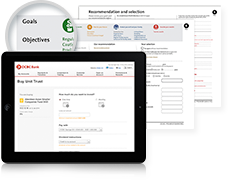 View your SRS portfolio online with OCBC Online Banking and contribute to your SRS acount via fund transfer from any of your OCBC Current or Savings Accounts. The contents of this material are for your information only. However, we do not represent nor guarantee that this information is accurate, timely or complete and it should not be relied upon as such. We do not guarantee the accuracy, usefulness or adequacy of the information provided. Any examples provided in this material are for illustration purposes only. Any opinion, estimate or examples provided in this material is made on a general basis and is not to be relied on by you as advice. Accordingly, no warranty whatsoever is given and no liability whatsoever is accepted for any loss arising whether directly or indirectly as a result of you acting on any information, opinion, estimate or example provided in this material. We are entitled to make changes and corrections to our opinions expressed here at any time, without notice. Once you’ve made your decision, it gets even easier. Go online or visit us at the branch, whichever you prefer, to make your investment. Regardless of whether you made your investments online or at the branch, get a quick glance of your holdings via OCBC Online Banking. 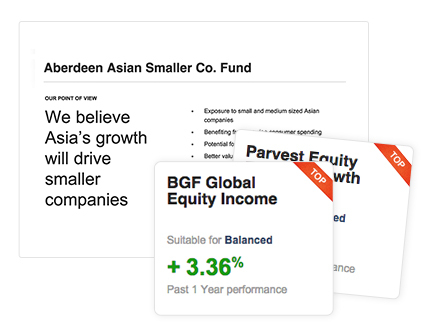 From here, you will be able to see your unrealised gains and losses and even set alerts that notify you when your unit trust fund achieves a certain price or value. OCBC Bank, its related companies, their respective directors and/or employees (collectively 'Related Persons’) may have positions in, and may effect transaction in the products mentioned herein. OCBC Bank may have alliances with the product providers, for which OCBC Bank may receive a fee. Product providers may also be Related Persons, who may be receiving fees from investors. OCBC Bank and the Related Person may also perform or seek to perform broking and other financial services for the product providers.